Smart plugs are bringing a whole new wave of control, convenience, and connectivity to homes, without complicated wiring, setup, or programming. It’s the simplest way to start automating your life and saving yourself time every day, making ordinary tasks faster and easier. Today we’re taking a close look at the best smart plug,what they do and how they work. A smart plug is a device that sits between your electrical outlets and the device you have plugged in to the outlet. The smart plug is controlled by an app, allowing you to use a mobile or connected device to customize when and how power is delivered to your home electronics, appliances, or anything else you plug in. You can set devices to turn on or off at pre-determined times. For example, you could set your coffeemaker to turn on automatically in the morning or set your home heating to go on and off at certain times. You can set devices to operate for only a set period of time. For example, you could limit a gaming console or television to an hour of use. You can control home devices remotely via an app. For example, you could turn on a slow cooker from the office or turn off a noisy clothes dryer from the bedroom. Devices can be set to turn on or off based on certain triggers. For example, your lights could be triggered by the doorbell, or a motion sensor. Smart plugs allow you to use voice control with Google or Alexa, and sometimes via a hub, to control your devices from anywhere. People are constantly discovering new ways to use smart plugs to save time and make their lives easier, and so there are hundreds of uses for these capabilities, with more being added all the time. But whether you already have a smart home, or simply want to add more convenience to your life, smart plugs are a great place to begin. Smart bulbs are an incredible way to completely customize the lighting in your home. Like smart plugs, smart bulbs can also be controlled with an app, meaning you can remotely control your home lighting, or set it to go off on a timer or when other events are triggered. But smart bulbs can do so much more. Save money. Smart LED bulbs last for decades, so even though the purchase price might seem expensive, overall, they are a great investment in your home. However, smart bulbs also have some drawbacks worth mentioning. Troublesome for visitors and guests. If you have a smart bulb system, you run the risk that a visitor will automatically use a wall switch, which may disrupt your lighting system. For every visitor who wants to turn on or off a light, you will need to guide them on how to install the app and operate your system. This can add a level of undesired complexity during, for example, family gatherings with children and older people in your home. If your goal is to simply perfect your home lighting for years to come, smart bulbs are a great investment. But smart plugs can be easier to set up and control, more versatile, and friendlier for guests and visitors. To dive into more detail on key differences and uses, we suggest checking out our smart bulbs vs smart switches article. How do Smart Plugs Work? Plug your home appliance, lamp, or any other device into the smart plug. Smart plugs are a great way to reduce energy usage, gain peace of mind, and fine-tune your home to your needs and preferences. They can even increase home security and protect your possessions. 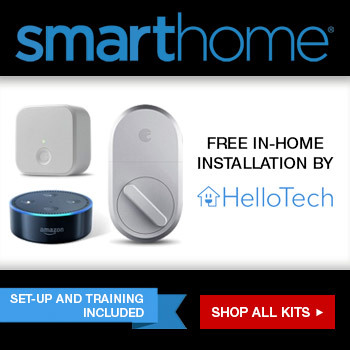 With a low initial cost, easy setup, and a wide variety of uses, there’s no reason not upgrade your home to make it more intelligent and more convenient.